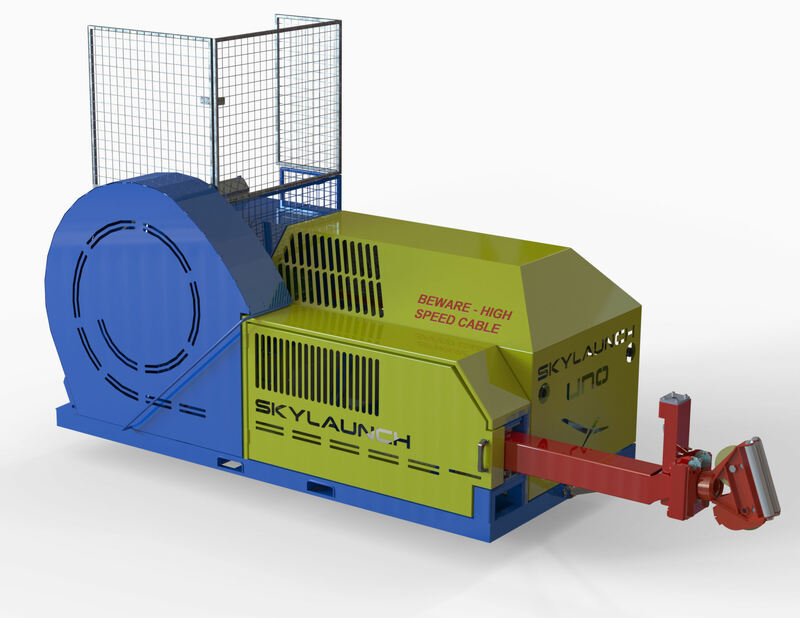 Proven, reliable Skylaunch parts and engineering. Open operators platform with Skylaunch control system. New compact chassis for pick-up, truck or optional trailer mounting. 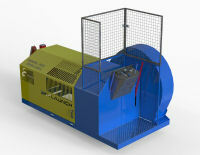 All new single drum final drive system, cable drum, guillotine and pulley unit, etc. Fold out roller box avoids need for pay-on gear. Tested, good condition used 7.4 Litre GM V8 engine, fuelled by Petrol or LPG, fitted with all new exhaust system. (Option for new engine). Fully remanufactured GM Automatic transmission calibrated for Glider or special purpose launching. New engine and transmission cooling systems. High mobility for special purpose uses. Launch glider and cable end landed midfield under light tension (using drogue parachute). Waiting vehicle drives to meet end of the cable as it lands, then attaches and tows direct to the glider. 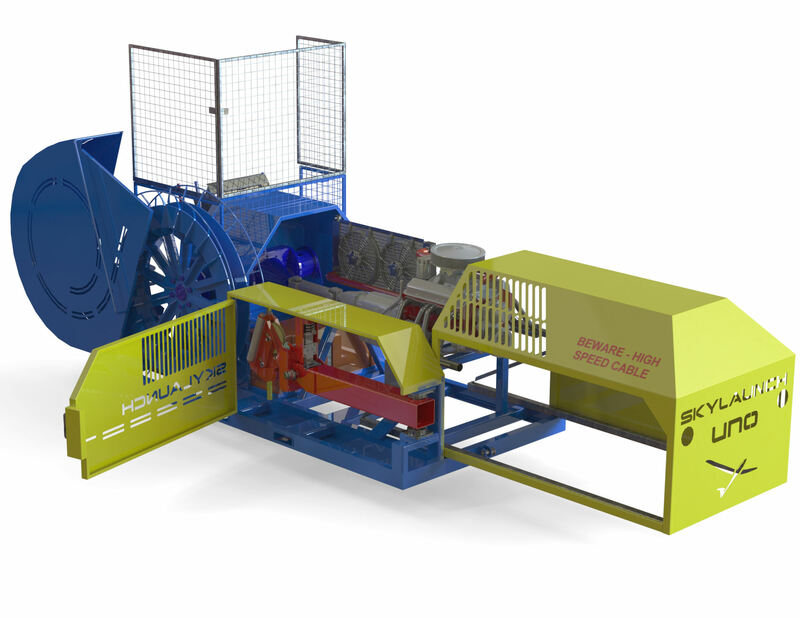 Simple system, only single drum main winch (and one set of cable equipment) required - No risk of cable crossover. 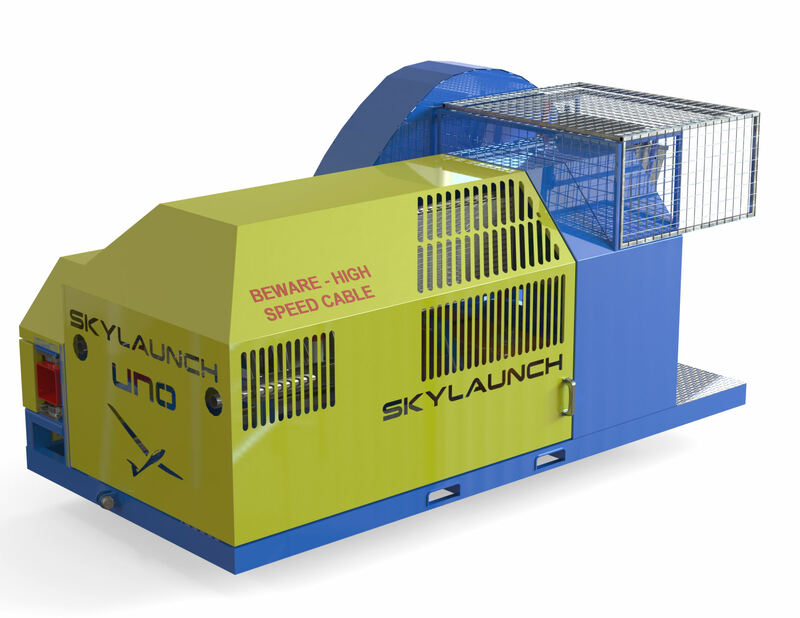 Cable can be towed direct to glider (not necessarily at the launch point) to reduce aircraft ground handling / downtime. Cable reel in and retrieving distance reduced by up to 50%. Only light car (ie small hatchback) required - will reduce purchase / maintenance / fuel costs etc. Light vehicle will cause less airfield wear and can vary route for each retrieve.